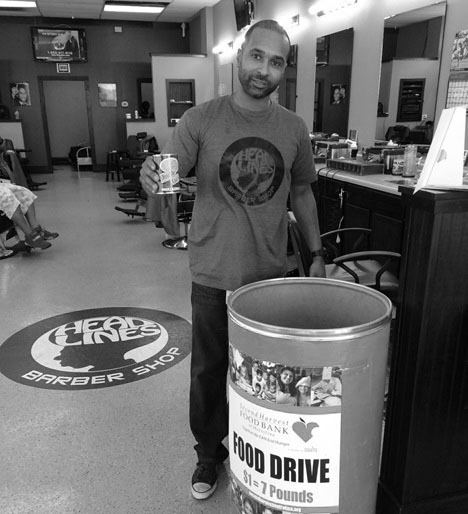 CHARLOTTE, NC – Headlines Barber Shop completed its 2nd Annual Food Drive on Saturday, August 16th. The drive was coined “The #1000PoundFoodDrive” and it aimed at collecting 1,000 pounds of food for the Second Harvest Food Bank of Metrolina. The barber shop focuses on summertime drives as food bank donations are traditionally lower during this time of the year. The barbers were especially excited about the results of the drive. “It is truly amazing how the community came together to do something for people they’ve never met. Donating a few cans may not seem like a big deal to the person who donated it, but it can mean a world of difference for the person receiving it” says owner, Derrick Bennett.